The Kidney Education Foundation is a health organization founded by Nephrologist Dr Sanjay Pandya. 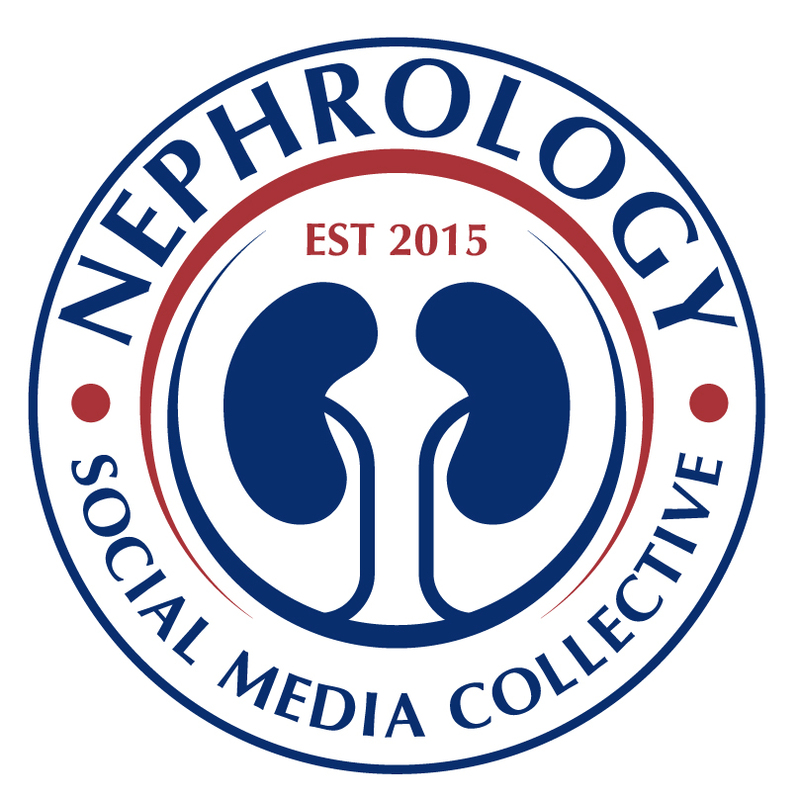 Its mission is to educate the people at large about kidney care across all boundaries. 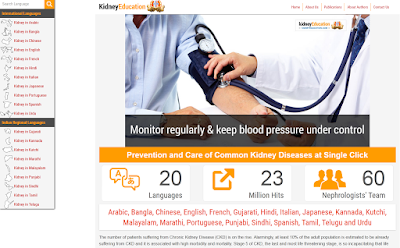 It is currently engaged in spreading the information by preparing books and websites for the prevention of kidney diseases in different languages. Currently the website is translated in 20 difference languages. These educational websites are created to raise the awareness about kidney diseases in the society and educate kidney patients and their family. They provide access to read and print kidney guide in different languages completely free. The goal is to be easy to use and clear information about all major kidney diseases on a single website. We hope readers will find it very useful. The team of Kidney Education Foundation consists of nephrologists and people who want to help and serve the kidney patients. Check it out and provide feedback. I was quite excited to see the development of novel agents to help us manage hyperkalemia in our kidney patients in place of kayexalate, which is extremely unpleasant for patients, is associated with diarrhea and have reported severe side effects such as intestinal necrosis. As previously reviewed, recent trials were published on two major drugs: Patiromer (Veltassa) and ZS9. Patiromer is a polymer that binds K in exchange for calcium (NEJM 2015). FDA recently approved this agent for treatment of chronic hyperkalemia (not acute) though it included a black box stating that patiromer can significantly affect the absorption of many orally administered medications and therefore it should be taken 6 hours apart from any other medication (a significant limitation). This decision by the FDA was based on some in vitro data (could not find the actual data on the recent papers) so it is unclear which drugs may significantly be affected if taken in close proximity. The company is now performing a number of studies to elucidate that. Currently, Patiromer is available to patients but it is only dispensed in subspecialty pharmacies and most hospitals don’t have this medication on formulary yet, in part related to the cost of $30 per pill. 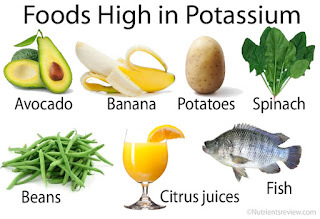 The main side effects reported with Patiromer were hypomagnesemia and constipation. Duration of trials were up to 52 weeks. ZS9 is a crystalline compound of zirconium silicate that exchanges Na+/H+ for K+. Based on its mechanism of action, patients will have about 300mg of extra Na+ intake per day (Kayexalate has the same issue). The main side effect of ZS9 was edema (~7%). Duration of trial with ZS-9 was only 4 weeks. FDA has not approved ZS9 yet but it is likely that once approved, it will be the leading drug in the market, especially if the black box from FDA remains for patiromer. 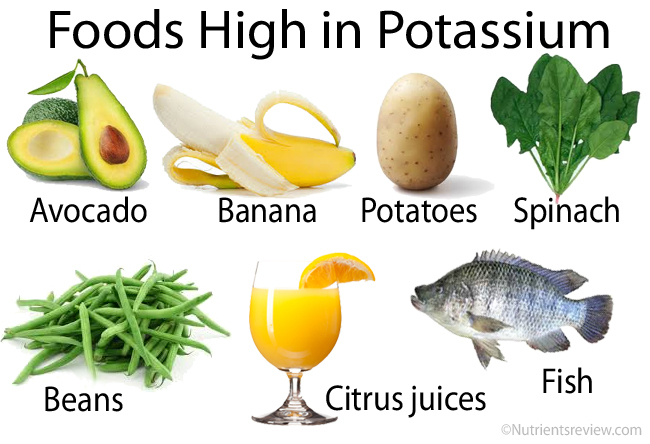 These first trials excluded patients on dialysis and patients with potassium greater than 6.5 mmol/L. Let us know if you have used Patiromer in the real world so that we can start gaining more knowledge outside of a controlled clinical trial. Our nation is aging, not always gracefully, and there is a large burden of CKD to manage. 13% of US adults have CKD stages 1-5 with less than 0.5% having stage 4-5 CKD (USRDS 2015 ADR, partially based on NHANES data). Most of the work in managing CKD will not take place in a nephrology office. Exploring this data further (which is well worth your time) unfortunately also reveals that: < 10% of patients with stage 3 CKD know they have CKD; < 50% of patients with diabetes (without known CKD) receive yearly albuminuria screenings; and around 50% of patients with CKD are not at their target blood pressure or A1c. Furthermore, one US multicenter, observational study (ADD-CKD, Szczech et al. PLOS One, 2014, 9: e110535) noted that of over 9,000 patients with diabetes, over 50% had CKD yet barely 10% of patients were identified as having CKD in their medical records. Without actively recognizing and managing CKD, patients may miss out on core treatment (RAASi, hypertension control, etc.). So, if there is room to improve the care of patients with early CKD within the primary care setting; how can we, as specialists, help our colleagues. 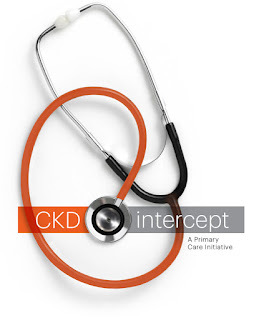 To help with these concerns the NKF is developing a primary care initiative called CKDintercept. This is designed to provide “knowledge and tools to alter chronic kidney disease (CKD) outcomes, improve patient’s quality of life, and have an impact on CKD healthcare spending nationwide.” This developing program will involve education (of providers and patients) as well as systems based approaches to improving CKD care. The program consists of three PowerPoint based educational modules, designed to be presented by nephrologists or primary care leaders to members of the primary care team (including physicians, mid-level providers, pharmacists, diabetes educators, etc.). The epidemiology and financial impact of CKD. Risk factors for CKD, indications for screening, and diagnosis of CKD. Treatments to reduce CKD progression. A basic review of renal replacement therapy including transplantation. 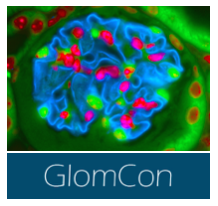 The presentations can be used together within a larger symposium or individually within faculty meetings or Grand Rounds. The NKF has also created additional educational resources (such as a CKD risk assessment tool or CKD management algorithm) which can be given to participants. Presenters are allowed to adjust the presentation as they see fit however there are “core-slides” the NKF has identified for each of the three presentations. Importantly, CME/CE credit can be given to participants if these “core-slides” are used and there is not another CME system in place. 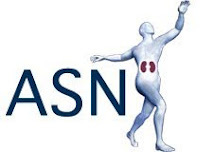 This program offers nephrologists resources to help educate their primary care colleagues and potentially improve the care of the patients they see, and more importantly those they may never see. Further information on how to access and utilize the materials, as well as contact info for the NKF, is provided at the links above. Check out the next installment of Renal Pathology Teaching Series from the Division of Nephrology at Washington University in St. Louis.